Mane Stream is more than just the horses for Madison and her family. 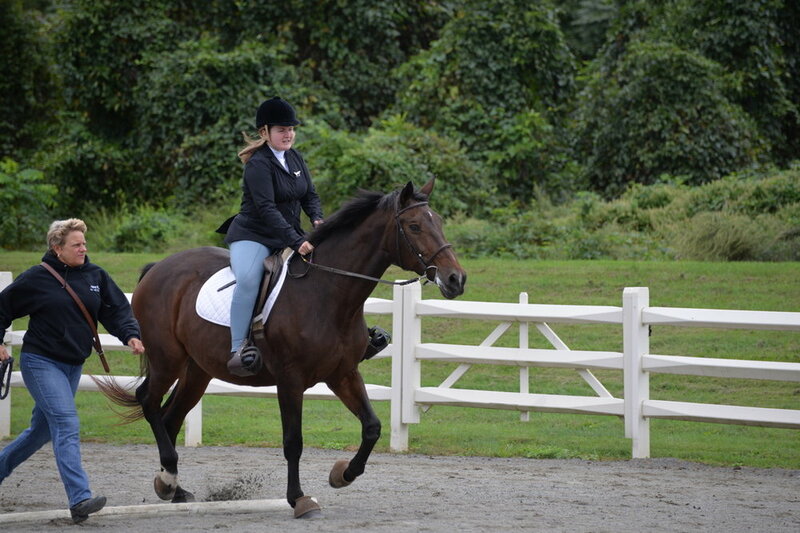 Madison began riding lessons at Mane Stream 13 years ago when she was five years old. She has always loved horses and has a special connection with them. When Madison was very young, verbal communication and motor planning was extremely difficult for her. Madison’s mom, Pamella, hoped that being around horses would help Madison in these areas. From her very first lesson, Madison made progress. Her family saw improvements from week to week with her confidence, balance, core strength, recognizing left from right, and overall coordination. They attribute the gains in her speech to the relaxed atmosphere at Mane Stream and the supportive volunteers helping during her lessons. 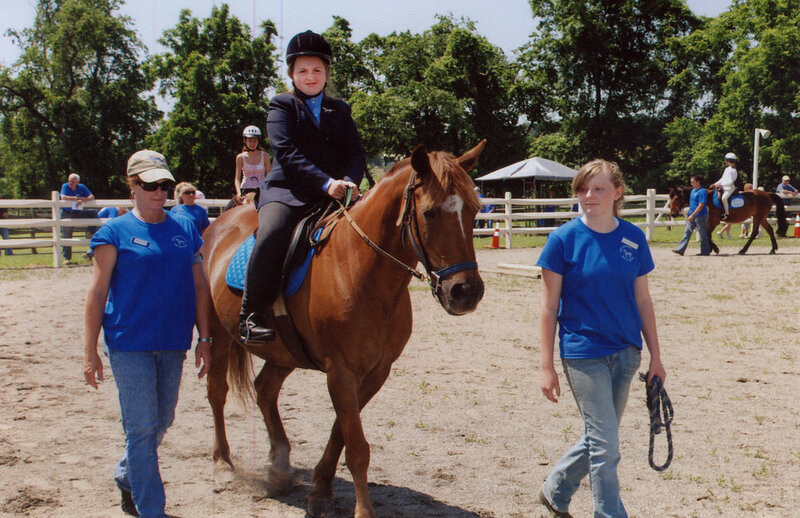 For Madison, her adaptive riding lessons were always fun. The fact that they made her stronger and helped in other areas was just a wonderful benefit. 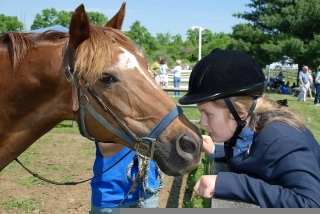 For her first five years at Mane Stream, Madison took group lessons with four other girls. They quickly became known as the “Horse Girls Club”. Over the years, the group added weekly visits to the Oldwick General Store immediately after each lesson. Some weeks, the volunteers or instructors would join the girls for lunch and the restaurant knew the girls by name. These lunches were a great way for the girls to socialize and learn about friendship, etiquette, and social skills together. Because they shared a common interest, they talked about their favorite horses and meaningful bonds were created. The parents benefited from this weekly Saturday meet-up just as much as their daughters, and it became a casual support group. Even Madison’s bedroom has a horse theme with Myrell as one of the herd. Madison now rides independently during her lessons (no leaders, no sidewalkers) which is extremely exciting for her and her family. Her overall strength and stamina as well as her riding skills continue to improve. Madison teases her riding instructor, Kelly Champion, about one day jumping the outside rails to take Myrell home with her! She calls Myrell “MY HORSE” and has painted her picture on her bedroom wall. “M&M Time” (Madison and Myles Time) Brother Myles makes weekly riding lessons fun. Madison also loves participating in the annual horse show. She loves getting dressed up and showing off everything she’s learned. The show brings her whole experience together, and both she and her family, love to watch the progress all her fellow riders and friends have made over the year. For Madison, Mane Stream really is a second home and extended family. She is a strong and confident rider and has a great relationship with her instructors, volunteers and, of course, her beloved Myrell. As her mom, Pamella says, “I expect great things from Madison!” She’s seen so much growth in her daughter since she started at Mane Stream and she knows that Madison will continue to hone her horse skills in the future. Growing up at Mane Stream! Newer PostTeam Thursday: The team that laughs together stays together! Older PostThe 2019 Calendar is Out!